This post covers two completely different training ideas that share a common link– very short recoveries. They are both super-potent but in different ways. First, I will talk about high-intensity intervals (HIIT). 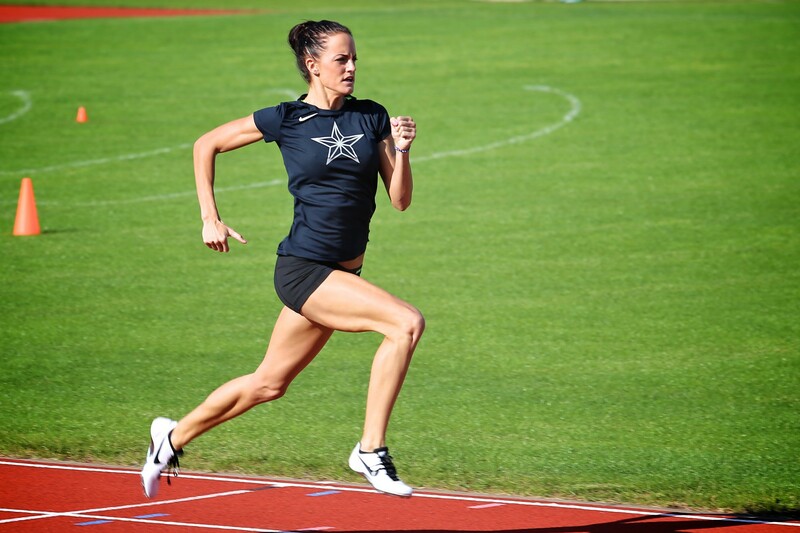 Then I will also tackle using short recoveries in a very different context– long aerobic “broken” intervals. If there is one “ah hah” moment in my coaching and athletic training over the last year, it’s been all about using short recoveries. So, first up is high-intensity intervals (HIIT). I’ll make a bold statement— this is the single best workout if you are looking to become faster and stronger in the shortest time possible. Interested? So what is it? HIIT is a training concept that has been all the rage with exercise studios and crossfit gyms for the last few years. In its proper usage, HIIT means very short duration intervals (typically less than 30 seconds) done at full intensity and with a much shorter recovery period. They should hurt by the second or third interval and they should induce a hefty dose of nausea by the eighth interval onwards. Seriously. If you don’t feel a bit of fear entering your Tabata session or don’t feel physically ill by the end, you’re not doing them hard enough. The Tabata format of eight 20-second intervals (at all-out intensity) on 10 seconds rest between each interval is the classic HIIT workout. Unfortunately, the term “HIIT” has also been misused by coaches over the last few years to include just about any intervals that are harder than normal. I won’t be talking about HIIT intervals in that context. What Is HIIT Good For? HIIT intervals are simply amazing. In the original study, Dr. Izumi Tabata (the originator of the eponymous Tabata intervals), found that a 4-minute Tabata set done four times a week for six weeks improved anaerobic capacity by 28%. But even more surprising was that maximal aerobic power improved by 15%. A 15% improvement in maximal aerobic power (which every endurance athlete could certainly use) came out of a total of only two and half hours of workouts broken up over six weeks! That is the most bang-for-your-buck workout that you can possibly do! “But how could a 20-second sprint improve aerobic fitness,” you might ask. While at first, Tabatas seem like a purely sprinter’s workout, the secret to the improvement at the aerobic end has to do with the very short recoveries. As you’ll quickly learn when you try Tabata intervals, ten seconds passes in the blink of an eye– and your body thinks so too! So, as far as your body is concerned, a Tabata set feels like a four-minute all-out effort, which definitely does have intense aerobic impact. In fact, I’d venture to say that the shorter recoveries make that four-minute effort much more intense than could be sustained if the original goal was simply a four-minute all-out effort. And that, as we’ll see later, is the real secret to short recoveries and why you should want to include them in a lot more than just your HIIT workouts. Are HIIT Intervals Right for Me? So it sounds like Tabatas are just great for everyone and that we should do them all the time. Well, not quite. Of course, a good training plan needs to be more balanced and include other energy systems. So tempo work and long distance days are stay on the table. But Tabatas still have their place once or twice a week. But before you simply toss in Tabatas, I think how and when athletes benefit from Tabata intervals is even more complicated than that. I’ve come to firmly believe that, when it comes to running (and maybe other sports too) that there are two kinds of athletes: there are “speedsters” and then there are “endurance junkies.” A “speedster” is an athlete who naturally wants to go fast for shorter distances whereas an “endurance junkie” is someone who can run forever but at a more moderate pace. A speedster runs their 5-K’s at a much faster pace than their 10-K’s which are much faster than their half-marathons. An endurance junkie also runs shorter races faster than longer races, but the drop-off isn’t as noticeable– their 10-K pace isn’t too far off their half-marathon pace. A speedster gets injured and becomes slower when put on a high-volume training regimen whereas an endurance junkie gets stronger and faster. Other coaches (e.g. Brad Hudson, Greg McMillan, etc.) have talked generally about these differences between runners but not necessarily in these terms. I think that, oddly enough, while each type of runner has their preference (speed or endurance), they build their stronger side more slowly and their weaker side more quickly. For instance, on the endurance side of the equation, speedsters tend to build the endurance they need quickly (and with less endurance work) while endurance junkies need a constant, longer dose of endurance work. Conversely, when it comes to speed, endurance junkies can build the speed they need for races quickly with a little “seasoning” of speed whereas speedsters need more of it to improve. Both speedsters and endurance junkies are equally adept at doing well at any race– it’s just a difference in how they need to train to perform optimally. The image of a tortoise and a rabbit is an apt one to describe the differences between endurance junkies and speedsters with one caveat– both types of runners go just as fast on race day. The elite corps of distance runners includes plenty of both kinds of runners. Unfortunately, this difference between types of athletes isn’t part of most traditional training plans. For instance, Lydiard training plans are decidedly slanted towards endurance junkies. 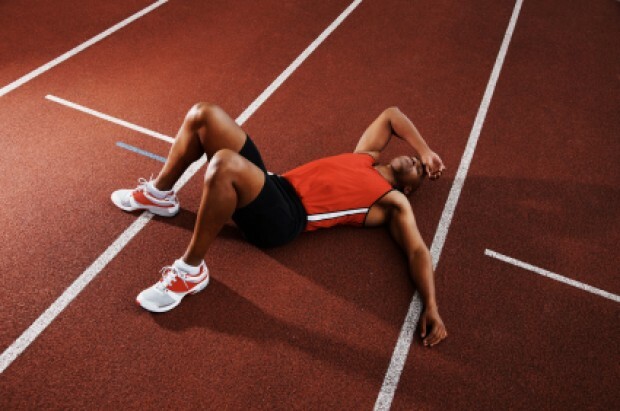 When speedsters follow these plans, they build endurance but they also get injured and may even lose speed. By contrast, endurance junkies thrive on these plans. I personally know this all too well because I am definitely on the speedster end of the spectrum. So, if you find yourself getting stale in your training plan, you may be following a plan that doesn’t suit your physiology. So with that background, I believe that speedsters benefit most from Tabatas early and often in the training season. Then, as races come along, the speedwork should shift to longer and longer intervals more specific to their event. By contrast, I believe that endurance junkies should approach Tabatas much more cautiously– and that they can be added much later in season. The progression of speed work sessions is basically the same– it’s just that it is shorter for endurance junkies than speedsters. So What Does a HIIT Build Look Like? The following is the basic build. Classic Uphill Tabata Intervals. First, start with hard Tabata intervals. For the bike, do it on a trainer. For running, find a long consistent hill that’s about a mile long. I like a hill for three reasons. First, it builds critical early-season strength. Second, the impact forces are significantly less than sprinting on the flat. Third, it is utterly exhausting. So sprint for 20 seconds at full-bore effort. Then stop and rest for 10 seconds. Repeat this eight times. Then rest for 5-6 minutes (or more) or jog an easy half mile. Then repeat. You want to start with two sets and, over the weeks, build to four sets. Done properly, you should feel tired by the third interval. By the sixth interval, you should be breathing like crazy and convinced you should stop. By the eighth interval, you should feel seriously nauseous. In fact, if you don’t want to stop halfway through and aren’t a heaving wreck by the end of the interval set, you haven’t done it hard enough. To give some idea of just how maniacally hard these are, the original Tabata group used in Dr. Tabata’s study were hitting about 170% of maxVO2 (which is typically about 120% of FTP). So if your FTP is about 200 watts, expect your Tabata intervals to all be north of 400 watts! But the goal isn’t to hit a specific wattage or pace– it’s just to go all-out. 30 Seconds on 15 Seconds Rest. Next step in the build is a workout that Joe Friel described in his blog. This workout involves three sets of 13 x 30 second intervals on 15 seconds rest. This would be impossible to do at Tabata intensity; instead, do it at your maxVO2 intensity (roughly this equates to your maximum power/pace that you can sustain for six minutes or about 120% of FTP). Joe recommends starting with longer recoveries. I’d say start with shorter sets (e.g. 8 intervals) and building to 13. There is definitely more of an endurance component to it (after all, each set lasts almost 10 minutes compared to only 4 minutes for Tabata sets). Right now, I’m doing a lot of these intervals and they are definitely exhausting. I’d say that they are just as bad as Tabata sets but in a different way (e.g. less nausea but a lot more overall body pain– plus I’m more sore the next day than after doing several Tabata sets). 400’s and Beyond. From here, we go back to more traditional intervals. I tend to like doing 400 meter Billat intervals next (400 meters at maxVO2 pace, followed by an equal amount of time recovering– repeat until you can’t hold 400 meters at that pace and then pack it in). After that, the intervals get longer and the workouts more specific to your race. But that’s all not HIIT intervals anymore so isn’t really the topic of this post. I have been trying to follow a hard/easy approach, alternating HIIT workouts on the run and bike, plus two back-to-back HIIT workouts on the weekends (a total of four hard workouts a week). Once every week or two, I try to slip in a long run (10 miles or longer). In the coming weeks, I’ll substitute a 5-K race for a hard running workout about once every 2-3 weeks. So far, the results have been amazing. My speed on my longer runs is much faster and I have a ton more speed and stamina. By the way, I’ve noticed that, when it comes to running, these short recovery intervals work really well on a treadmill set at a pretty high grade. It can be a touch tricky as you have to let the belt run at your sprinting speed and then hop on and off the belt as needed. Treadmills take a good 20 seconds to speed up and slow down so, if you rely on the treadmill’s speed settings, you won’t be able to get an effective workout. I think this progression from Tabatas to longer HIIT intervals and then to longer intervals is key for every athlete. Even if you are a hard-nosed “Ironman or nothing” athlete who scoffs at short workouts, you will get faster and stronger by incorporating some of this work in your training. First, when you race, you are using every energy system to some extent. Even though the higher-intensity, more anaerobic stuff might seem insignificant in an Ironman, it’s not. Second, going all-out is important neurologically. 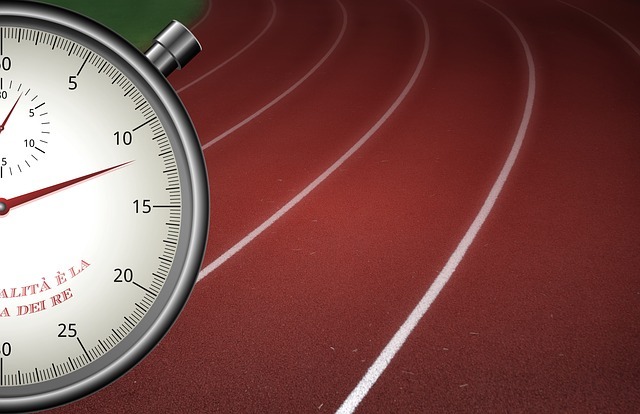 While most of us have running faults in longer distances, we usually have much better form when we’re sprinting. Sprinting reinforces good form in our brains. Third, I think HIIT intervals are mentally essential for longer distances. Done properly, HIIT intervals are ridiculously hard and you’ll certainly find yourself wanting to stop before you’re done with a set. But, if you muscle through, you’re building confidence. Or maybe you’re just getting used to extreme physical pain. Either way, the pain you experience in your longer work suddenly doesn’t seem so bad. Training Tip: Short-recovery HIIT intervals– and Tabata intervals in particular– are also useful in two other situations. First, a set or two of Tabata intervals make a useful segue back after a break in training. If you’ve taken a break from running or cycling for awhile and don’t quite feel much “snap” in your legs, the sprinting nature of Tabata intervals do a great job at restoring muscle tension and quickly give your legs a wake-up call. Of course, if you’re coming back from an injury, you should be careful. Second, short-recovery intervals are a great workout if you are pressed for time. If work deadlines are getting to you, a set of Tabata intervals only takes four minutes. Including a warmup, you can get in a great workout in about 20 minutes. Of course, this is the big selling point to HIIT intervals in the crossfit industry. There is a second way that I’ve been using short recoveries– amping up my long intervals. I started using this trick last summer as I was coaching our team’s track workouts. As races start coming up, I like to do much longer tempo-length efforts (3-4 miles) but at a race-like intensity. Unfortunately, it’s really hard to dig as deep in training as in racing. This is where short recoveries again come in handy. A typical track workout that we did this summer was a 4-mile “tempo” run. It’s not a true tempo run because the intensity is much greater– definitely at a race pace for the entirely distance. To make this doable in training, we approached them in a “broken” format: instead of running 4 miles straight, we would break it into a series of 8 x 800 meters with only a 15 second recovery after each 800. Mentally, 800 meters is a piece of cake compared to 4 miles, so it was easy to tell people to hold a 5-K race pace for 800 meters. Again, the 15 second break went by very quickly but made it mentally a lot easier to accomplish. But the body didn’t get much of a break. While I can’t speak for the rest of the team, my racing benefitted enormously from this workout format. My 5-K times in duathlons dropped by about 15 seconds per mile even though I had stayed constant for months before that. I think this is because the overall pace of these longer tempo efforts was so much faster thanks to the broken format. Personally, I dread intervals once they go above a mile. Now, I regularly break them into “broken” intervals. At the shorter end (e.g. 1-1/2 to 2 mile miles), I reduce the interval break to only 10 seconds to keep the intensity up. At the longer end (e.g. 4 miles), the extra five seconds is handier because it allows me to get a sip of water before hitting the next one. The essential part of doing these broken intervals is to be regimented about the short recovery. There’s a tendency when tired to let 15 seconds become 20 seconds. Don’t let this happen. If your pace starts to fall short of your race pace, that’s okay– you may be tired or you might not be ready for that pace just yet. In that case, just try to run close to your goal pace and be easy on yourself if you don’t make it. But keep telling yourself that the short recoveries are the secret to this workout and that you can’t make them longer than originally planned. I encourage you to experiment with short recoveries in your workouts! I think most athletes will really like them– and their positive effects on race performance. Feel free to reach out with your feedback or thoughts.